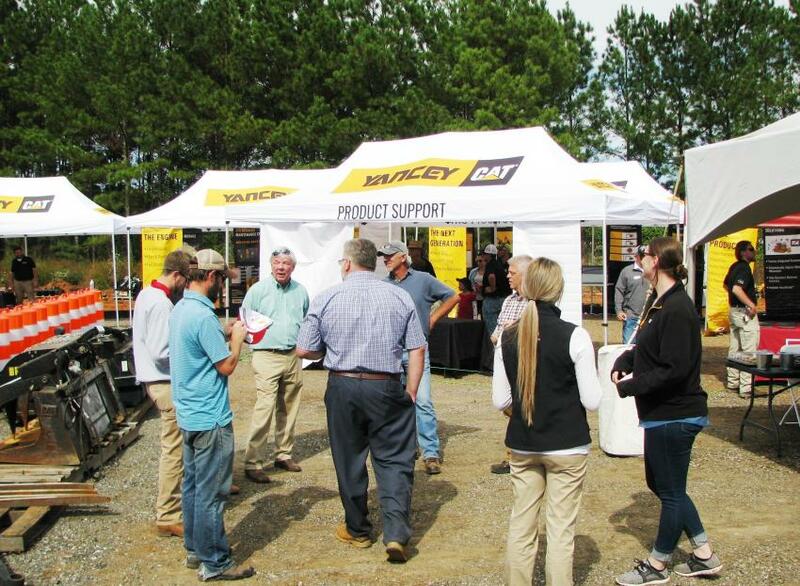 In a series of demonstration and educational events, Yancey Bros. Co. and Sitech South held their most recent Technology Day event at Yancey's Gwinnett County location in Dacula, Ga., on Oct. 18. 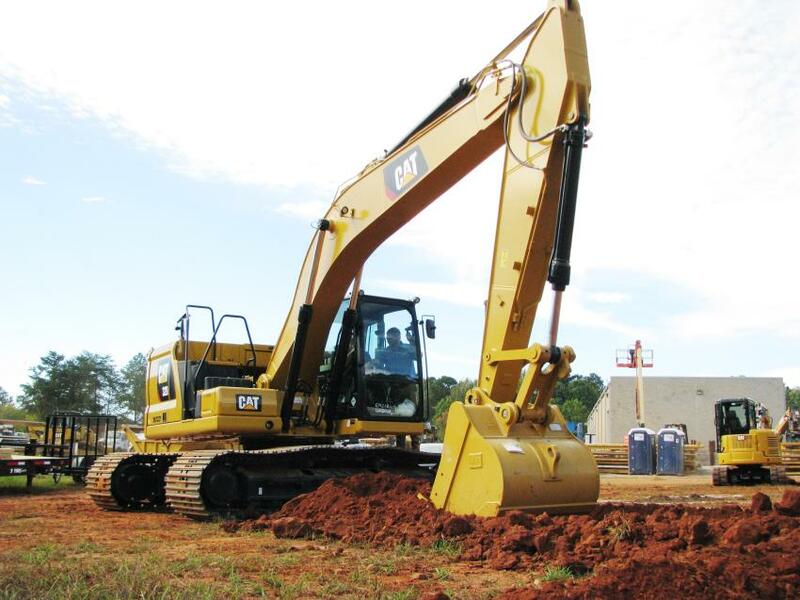 As with the previous demo events, the next-generation Cat excavators (Cat 320 GC, 320, 323) were the feature of the event and Yancey and Caterpillar product trainers provided comprehensive demos and walk around of these machines. The "tents were pitched" at the demo grounds behind the Gwinnett location and representatives from Yancey Bros. Co., Yancey Rents, Caterpillar and Sitech South unveiled their newest products and services, as well as, providing in-depth information and demonstrations of the next generation Cat excavators and Grade Control dozers. Lunch was served and a good time was had by all. 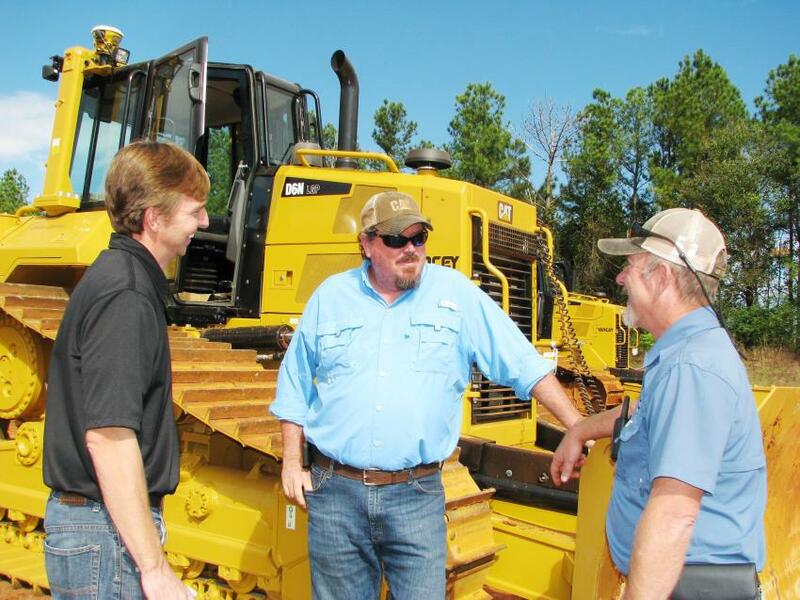 Matt Johnson (in cab) and Jed Knowles, demo operator, both of Yancey Bros. Co., brush up on their operating expertise on the next-generation Cat excavators. 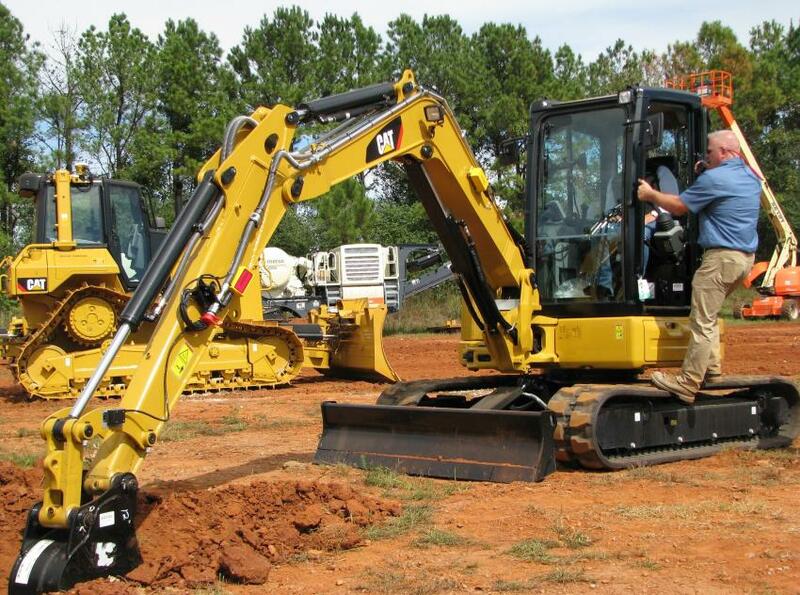 As the featured machine, a pair of next-generation Cat 320 excavators got quite a workout throughout the day. Demo time on the mini-excavators was almost as popular as the Grade Control dozers. 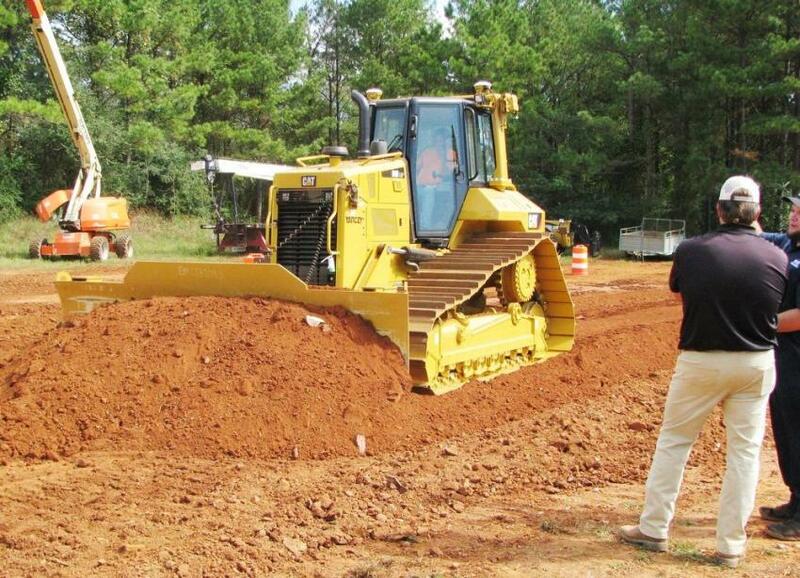 A Cat compact track loader with box blade and Trimble grade control. Discussing the machines and technology being demonstrated are (L-R) Kris Yancey, Yancey Bros. Co.; Joe Dixon of Expo Homes, Lawrenceville, Ga.; Andrew Cardinal, Caterpillar-GCI, Atlanta, Ga.; and E.J. Herron, Sitech South. 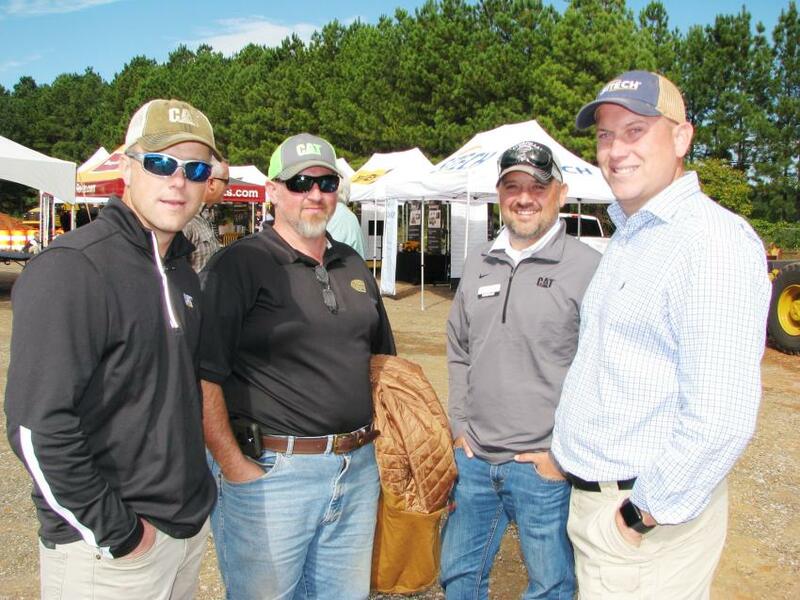 (L-R): Cleve Gambrell, Yancey Bros. Co.; Marc Burrow, Marc Burrow Grading, Covington, Ga.; and Matt Johnson, Yancey demo operator, talk about Burrow’s latest purchase, a D6N dozer with Grade Control that is just like one of the machines being demoed. 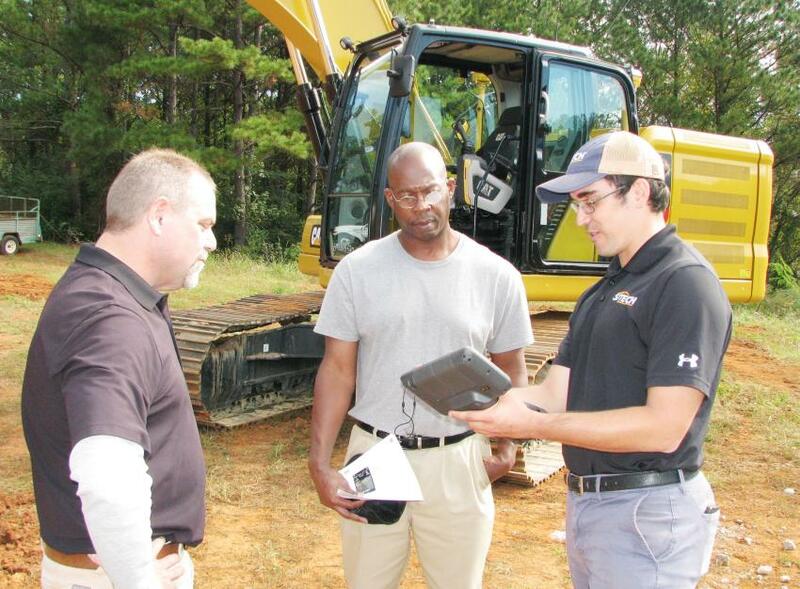 (L-R): Lance Pitts, Yancey Bros.; Khayyan Dixon of K. Dixon Construction Company, Conyers, Ga.; and Tyler Phelps of Sitech South go over some 3-D site data on a handheld unit showing the relationship between the data collectors and the machines. 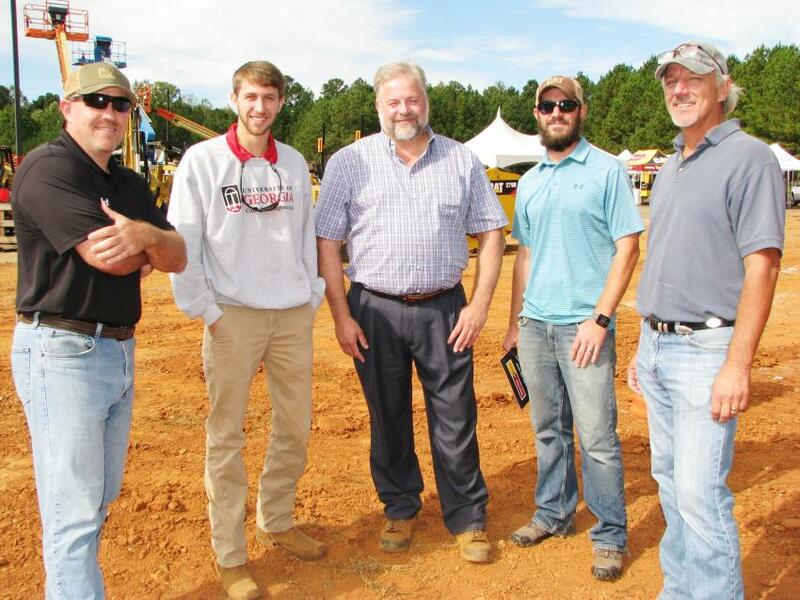 Getting ready to check out the demo machines, some of which they already own, are (L-R) Bryan Wilson and Caleb Dixon of Cooper Barnette & Page (CBP), environmental contractors based in Statham, Ga.; Alex Wood, Yancey Bros. Co.; and Gabe Leach and Vaughn Cheely, also of CBP. 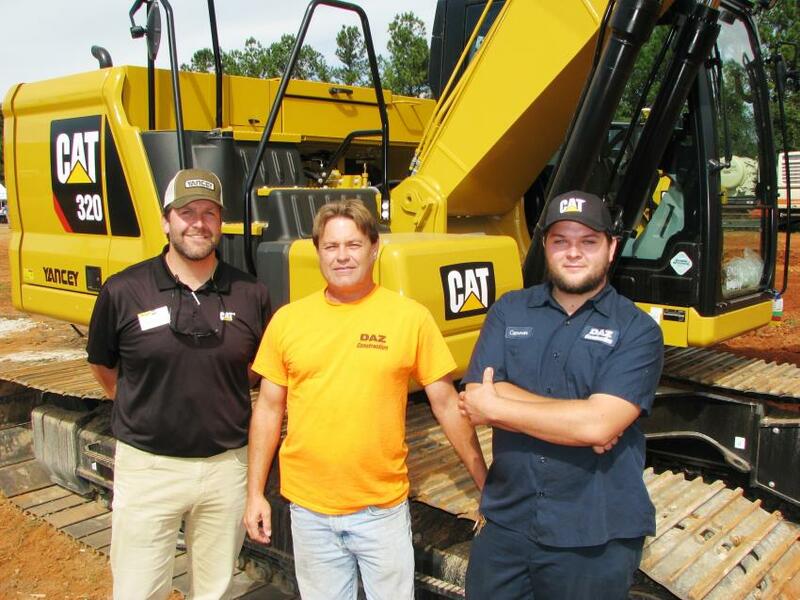 (L-R): Buck Buchanan of Yancey Bros. Co. talks Daniel Bryson and Cameron Bryson, the guys from DAZ Construction, based in Lilburn, Ga., about the purchase of this next-generation Cat 320 excavator to complement their D6N dozer with Grade Control. 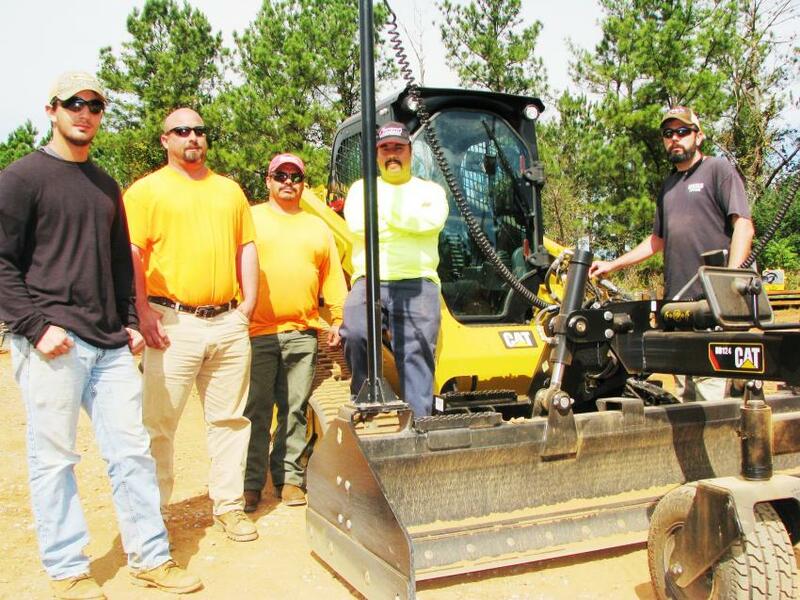 (L-R): Caleb Asher, Paul Asher, Geraldo Laredo, Hugo Guzman and Kevin Myers, a group from Dekalb Pipeline, based in Conyers, Ga., came out to test operate the combo Trimble technology/Cat box blade system for fine grading in tight spots. 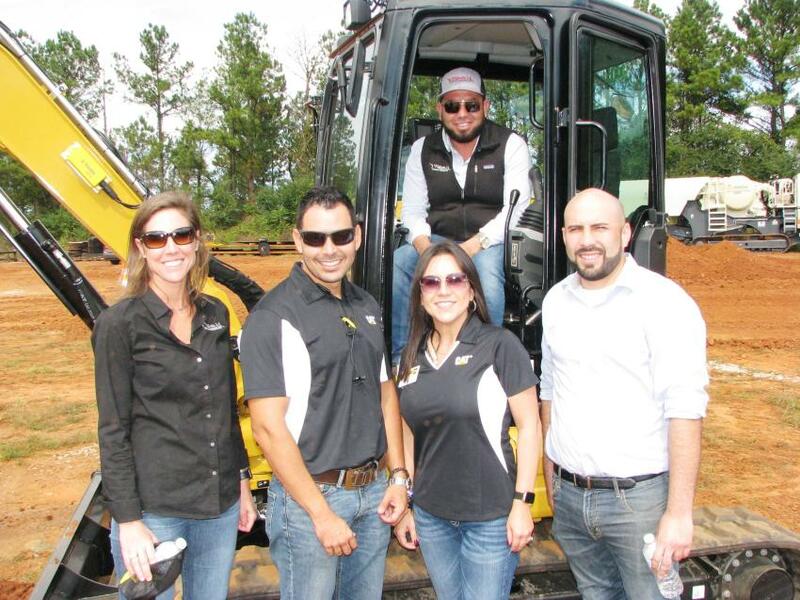 Checking out some of the smaller machines incorporating Trimble technology are (L-R front) Ashley Haynes, Tafolla’s Concrete Contractor, Lawrenceville, Ga.; Cesar Gonzalez and Zaira Brumagim of Yancey Bros. Co.; Giovani Serrano of Tafolla’s; and Raymond Tafolla (in cab). 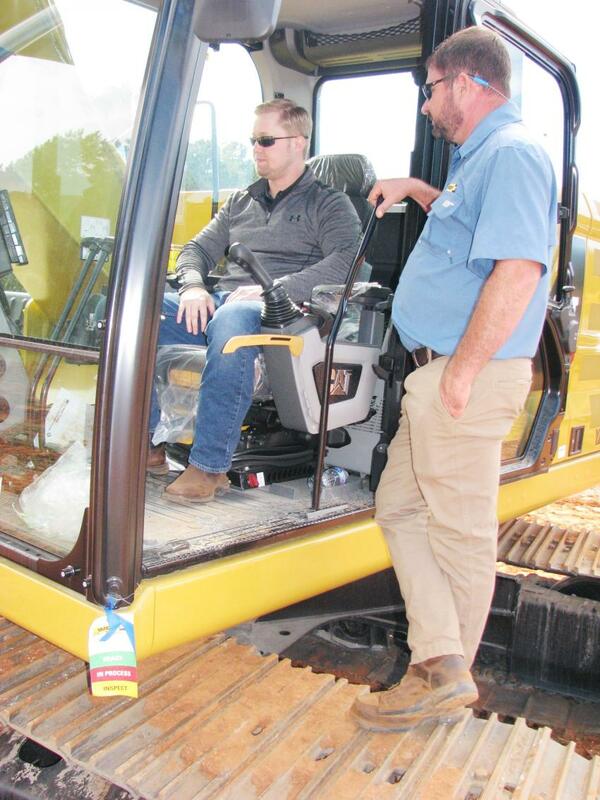 Tyler Swayne (C) of Yancey Bros. Co. has a breakout session with a group of contractors on the reduced maintenance costs of the next-generation Cat excavators. 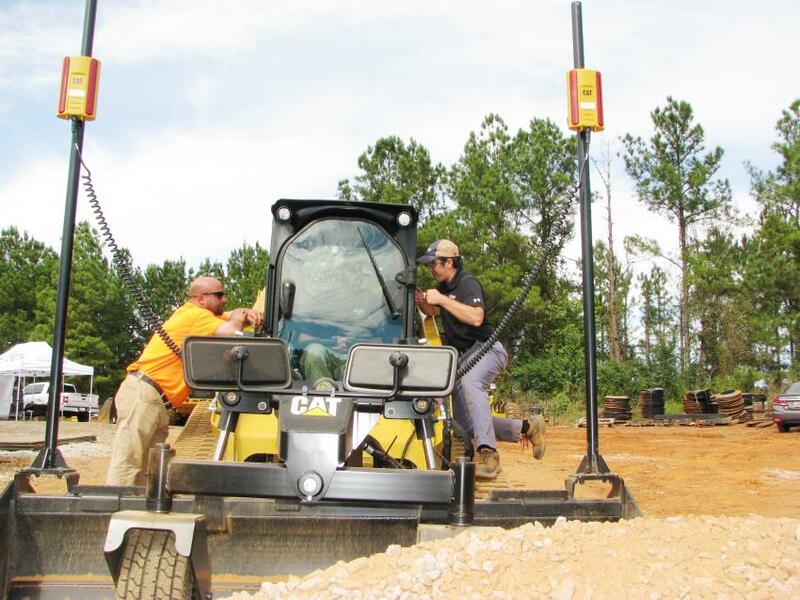 A steady flow of contractors turned out on a picture-perfect north Georgia day to check out the newest from Cat and Sitech. 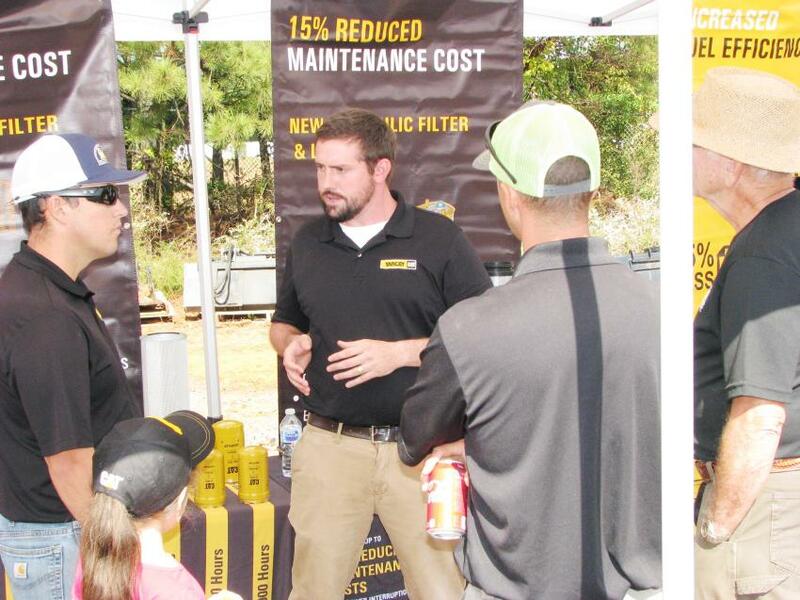 Caterpillar Education Events Georgia Sitech South Technology Yancey Bros. Co.